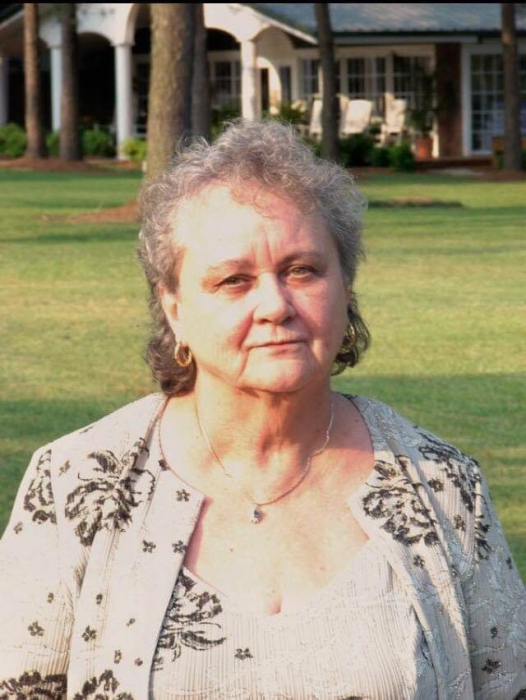 Joan Marie Lillis Hepner, 79, of Lee County, GA, died April 8, 2019 at Phoebe Putney Memorial Hospital. Funeral services will be held Saturday, April 13, 2019 at 3:00 PM at Mathews Funeral Home. Mr. Billy Lillis will officiate. Interment will follow in Floral Memory Gardens Cemetery. Mrs. Hepner was born on October 14, 1939 in Winchester, VA to the late Maurice and Mary Lillis. She moved to Albany, GA in 1966 and was married to her husband, Raymond M. Hepner, Sr. They were stationed at various Bases and return to Albany, GA in 1973. Mrs. Hepner was a wonderful mother and was the family matriarch of the Hepner Family. She loved to cook and loved making ceramics. Mrs. Hepner enjoyed traveling to Biloxi, MS, Shorter, AL and traveling back to Virginia. She was of the Catholic Faith and was a member of The Benevolent and Protective Order of The Elks Lodge # 713 Ladies Auxillary and President of the American League Ball Park with Dixie League Baseball. She was preceded in death by her husband Raymond M. Hepner, Sr., son, Grady A. Hepner, Sr., and nine siblings, Mary Ellen Leight, Maruice Julian Lillis, Jr., Constance Lillis, Andrew Lillis, Evelyn Coulson, John H. Lillis, Barbara Creswell, Patsy Murphy and Dennis E. Lillis, Sr. Survivors include her children, George (Pamela) Hepner of Lee County, GA, Monty (Leigh) Hepner of Canton, GA, DiDi (Tommy) Davis of Carrollton, VA, Tami Chadwick of Sterling, VA and Dawn (Christopher) Williams of Germany, her sister, Pauline Rowe of Charlestown, WV, twelve grandchildren, John (Michelle) Davis, Deni Davis, Miki Davis, Richard Hepner, Anthony Hepner III, Grady Hepner II, Brendan Hepner, Ally Hepner, Geoffrey Hepner, Austin M. Hepner, Matthew Chadwick and Lauren Chadwick and seven great-grandchildren, Skylar Davis, Madison Davis, Lakelynn Hepner, Matthew Kennedy, Rylee Hepner, Parks Davis and Paisley Davis. The family will receive friends from 2:00 PM until 3:00 PM Saturday before the service at Mathews Funeral Home.